Dr. Patrick Moore has been a leader in the international environmental field for over 40 years. 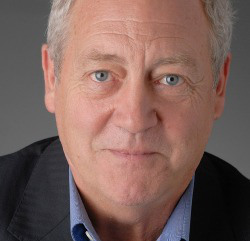 He is a co-founder of Greenpeace and served for nine years as President of Greenpeace Canada and seven years as a Director of Greenpeace International. The leader of many Greenpeace campaigns (e.g. “Save the Whales”, seal hunting), he was a member of the Rainbow Warrior crew when the anti-nuclear testing ship was bombed in Auckland Harbour. Dr. Moore was a driving force shaping policy and direction while Greenpeace became the world’s largest environmental activist organization. 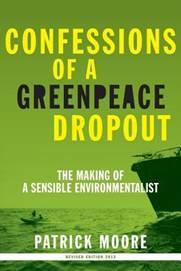 He left Greenpeace in 1986 because of his concern at the anti-science and extreme political policies it was adopting; nevertheless, he remains passionately concerned about the environment and describes himself as a “sensible environmentalist”. This, of course makes him a most controversial figure as the current Greenpeace policies are not aligned with his “sensible” view. He is visiting Australia to explain why his view of catastrophic global warming differs from that of the extreme green movement. 22 Oct. 5 for 5:30 Sydney RSL, L3 Function Room, 565 George St. a $20 donation at the door is requested to cover costs. 1st meeting 4 – 5pm (GM crops) C3 Church, 94 Waratah Ave. Dalkeith. a $20 donation ($10 for students) is requested to cover costs – covers both sessions. 3 Nov. TO BE ADVISED. Nov. 5th 7 for 7:30, Irish Club 175 Elizabeth St. A $20 donation at the door is requested to cover costs. http://sa2.seatadvisor.com/sabo/servlets/EventSearch?presenter=AUNOOSHI&event=mse0611 a $20 donation will buy a ticket. Patrick Moore is an engaging, articulate and intelligent speaker. His story should be of great interest, particularly now that authorities such as the Bureau of Meteorology are being publicly questioned about their handling of temperature records. The Australian government claims that next month’s tax on carbon dioxide cannot be blamed for today’s soaring costs of living. This tax, however, is just their latest assault in the decades-long war on carbon that is already inflating the cost of everything. For at least a decade, power companies have been obliged to source 10-15% of their power at inflated prices from costly and unreliable sources like wind and solar. And for every wind or solar plant built, a duplicate backup gas facility is needed, increasing the demand and price for backup gas, hitting other gas consumers. Moreover, the threat of more carbon taxes has deterred the construction of efficient new coal-burning power plants. Rising electricity costs feed into the cost of everything from public transport to building materials. The climatists are also responsible for numerous policies pushing up the price of food. These include the ethanol/biofuel madness, the restrictions on the fishing industry, the Kyoto scrub clearing bans, the spread of carbon-credit forests over farming and grazing land, the never ending war on irrigators, and the virtual ban on building new water-supply dams. Then we have all the hidden costs of the climate industry. Thousands of our smartest graduates are lured into well-paid dead-end desk jobs in the overheads industry devoted to climate red tape, while real entrepreneurs are unable to find workers to develop our continent of under-utilised resources. There is an overpaid bureaucracy devoted to climate “research”, alternate energy, international junkets, Kyoto give-aways, and administration, auditing, enforcement, accounting, law and propaganda for their empire of climate taxes and subsidies. Finally we have income tax implications from all the money being flung around to bribe people to accept their carbon tax? Every Australian will get these bills somewhere, sometime. And who pays for the hundreds of millions poured down subsidy rat-holes like carbon capture, solar panels, pink bats and the IPCC? Australia’s crippling carbon tax is but the latest symptom of the costly Climate Madness infecting the well-fed elite of the western world. When the consumers of Australia realise the extent to which they have been conned and needlessly pauperised, the electoral retribution will be swift. Sawmills to Save the Planet? Keywords: Australia, carbon tax, electricity, food, costs, propaganda, sawmills, species extinctions, solar cycles, protests, green jobs, Rio flop. 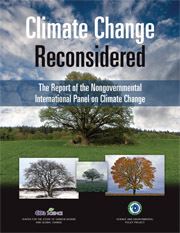 From May 21 to 23, 2012, The Heartland Institute will host its Seventh International Conference on Climate Change, a three-day event in Chicago piggybacking on the NATO Summit occurring on May 19-20. This year’s theme is “Real Science, Real Choices.” “Real science” refers to the distinctions that must be made between science has it has been practiced since the Enlightenment and “post-normal science” that isn’t science at all. Real science has falsifiable hypotheses and is data-driven, while “post-normal science” does not. “Real choices” refers to the choices being made as a consequences of unjustified alarmism over man-made global warming. We are shutting down or refusing to develop safe and affordable reserves of coal, oil, and natural gas, and we are “burning food” by using ethanol to power SUVs. These are real choices with real consequences for human well-being as well as the environment. Who will be First to Cop the Carbon Chop? It is not possible to achieve the government’s planned cuts to the production of carbon dioxide without significant shrinkage of our main industries. There are only two ways to achieve their unrealistic emission reduction targets. The destructive but honest way is to allow the shrinking targets and rising taxes to force closures or relocation for our backbone industries. The dishonest way is to pay billions of dollars to overseas carbon shysters who, in return for our bribes, “promise” to make the reductions on our behalf. This will achieve nothing except pauperisation of Australians. The tax apologists will claim – ‘but the tax only applies to the top 500 polluters’. Every company hit with the carbon tax must pass it on to all those who use their products. Soon every industry and consumer will feel the costs, even if they do not understand the sneaky mechanism. People who think the cuts can occur painlessly have not looked at the hard facts of our industries. It’s not possible to make steel without generating carbon dioxide. No carbon tax can change that. It’s not possible to make cement or brew beer without generating carbon dioxide. It’s not possible to generate electricity using brown coal, black coal, diesel or gas without generating carbon dioxide. It’s is not possible to run a car, truck, train, tractor, ship or plane on oil, gas, diesel or petrol without generating carbon dioxide. Even electric cars, trains and elevators get their energy mainly from coal or gas. As for wind power, 70% of its “capacity” will be delivered by the backup gas facilities, all producing carbon dioxide. The Australian government plans to reduce the production of harmless carbon dioxide by 5% (or maybe 25%) by 2050, despite increasing population. Which industry will be first to cop the carbon chop? They should start by blocking all emissions from Parliament House. Or is the carbon tax just about grabbing a new source of government revenue? Will a Carbon Tax stop our Natural Disasters? Click the image for a PDF version of the page [66 KB]. 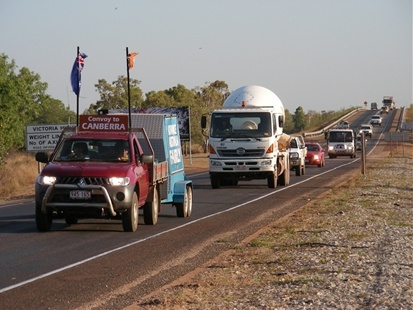 A Convoy of more than 100 vehicles – including road trains, campervans and utes – rolled into Katherine last night to show their support for the Convoy of no Confidence, a convoy heading to Canberra to raise a voice against recent government decisions. Rashida Khan, who led a trail of vehicles from Darwin to Katherine yesterday, said she was on her way to Canberra to speak up for “some of the toughest people” she knows, who “have been pushed to the edge by the decision to ban live export”. The 23-year-old animal nutritionist, who comes from a background of cattle and land management, said she was “stunned” by the support the Convoy of no Confidence had received along the way from Darwin to Katherine.”Eight road trains followed us out of Noonamah, we had a chopper in the air, freightliners on the road and lots of cars. “We had grey nomads and people in cars and vans join us along the way, giving us the thumbs up, honk their horns, wave and cheer. We are emerging from the Coldest Period of the last 10,000 years – thank goodness for the modern warming era. Click the image for an interactive PDF [98 KB] to obtain further details and route information. The Green-Labour coalition has burnt the boats – they have left no room for retreat and we face total carbon war from now on. Carbon Sunday has jolted Australians into the reality that Bob Brown and his Gaggle of Green Geese, supported by the Three Green Puppets (Windsor, Oakshott and Wilke), now control Australia’s future. There is no room for any of our basic industries in their Grand Green Goal for Australia. They hate mining, farming, forestry, fishing and the service and heavy industries associated with them. Since the days of the first fleet, these industries have given jobs and security to all Australians. Such security was not earned by singing hymns to Gaia and sitting in the shade. 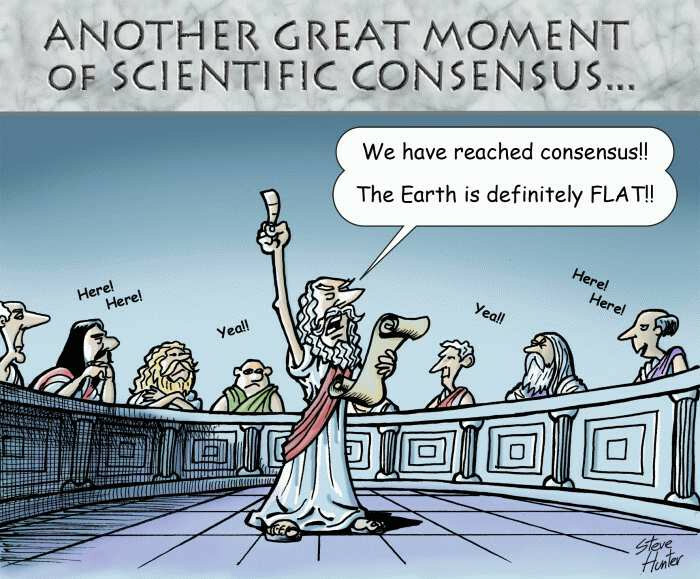 We few skeptics in the Carbon Sense Coalition have fought the carbon battle for over four years now. A few others such as Ray Evans and a couple of great journalists have battled for longer. For 3 years no one wanted to know us, but now the seeds planted so persistently are starting to bear fruit. We have not moved at all in our positions but the mountain of public opinion has moved massively towards us. Many thinking and concerned people are now actively in the fight. The Australian public is now aroused and hostile to the carbon tax. The general media has noticed that we exist and even the ABC has turned its baleful eye upon us. The main goal of the Greens is to get this tax onto the books, no matter how tattered and ineffective it looks after the storm. Once there, it can be extended and increased. Our goal is to prevent it getting onto the books IN ANY FORM and making sure all players in the game know that irresistible forces will be working to remove and repeal all trace of this ill considered legislation that manages to become law (that includes all the climate control stuff already on the books). We now must take the fight to the boardrooms and workplaces of Australia. Every director who spends shareholder funds on the basis that all the climate paraphernalia of taxes, subsidies, exemptions, permits and mandates will continue must be warned and challenged to spell out those risks to investors. Business and trade union leaders must be challenged by their shareholders, employees, members and customers to demonstrate the soundness of their actions. So please help us to keep up the fight – spread the word, attend the protest rallies, harass your local politicians and candidates, write to the media, vote “No Carbon Tax” in every poll and support the organisations and parties you believe are opposing this baseless war on carbon and on Australian industry and jobs. Lord Christopher Monckton is currently touring Australia, speaking on the politics, science and economics of the Great Global Warming Swindle. The Broncos Leagues Club in Brisbane had agreed to book a room for the Brisbane function. However Green Extremists mounted an organised campaign of protest to the club and the Brave Broncos buckled to the censors. Would all supporters please advise members and visitors that Broncos Leagues club has a new policy to only admit those who believe in the Man Made Global Warming Fable. We are not sure whether or not visitors will be asked their views before allowing entry. We presume so. Please advise your friends in case other skeptics are turned away and embarrassed. Skeptics and Freedom lovers all over the world have been outraged by this action. The letter below is typical. More letters are encouraged. I truly cannot believe that you have reneged on your agreement to Host Lord Christopher Monckton for a stimulating discussion of climate science, economics and politics. The Broncos, Brisbane and Australia are much the poorer for your having done so. I have heard Christopher speak on many occasions and have had the good fortune to join him and his delightful, engaging wife Juliet for several dinners and other events. He is a brilliant analyst and a fantastic commentator, speaker and debater, who never fails to bring his audiences to their feet. Unlike Al Gore and certain others, Christopher always responds (politely and directly) to any question he is asked; he never screens questions ahead of time, and absolutely never refuses to take questions. Juliet is as warm, friendly and fascinating a conversationalist as you could hope to find. Shame on you for having disappointed so many – and having apparently caved in to the dark forces of political correctitude. I hope you will reconsider your rash decision.